Our next level 1 250 course will begin in October 2019 at our Falmouth studio in Cornwall (currently one space remaining). Taught by Keren Cooksey with Amanda Brown (both SYT Yoga Alliance and with combined teacher experience of over 45 years), our 250-hour vinyasa course is devoted to excellence, exploration, creativity and community. We have designed this course for those who want to embark on the journey of becoming a teacher or for existing teachers who want to enhance their skills and delve deeper into the rich world of tantric vinyasa yoga. 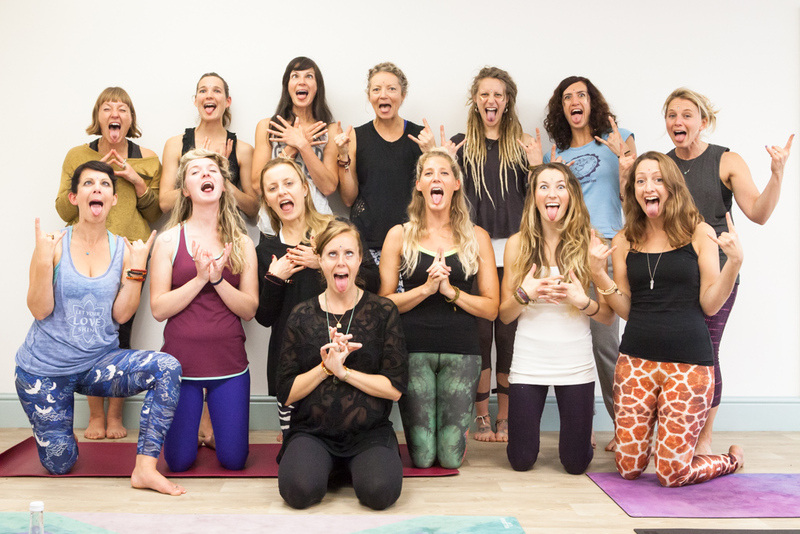 Our teacher training program asks you to come on a life changing journey with us into yogic philosophy, to throw yourself passionately into learning sequencing and alignment and to have a whole lot of fun on the way. 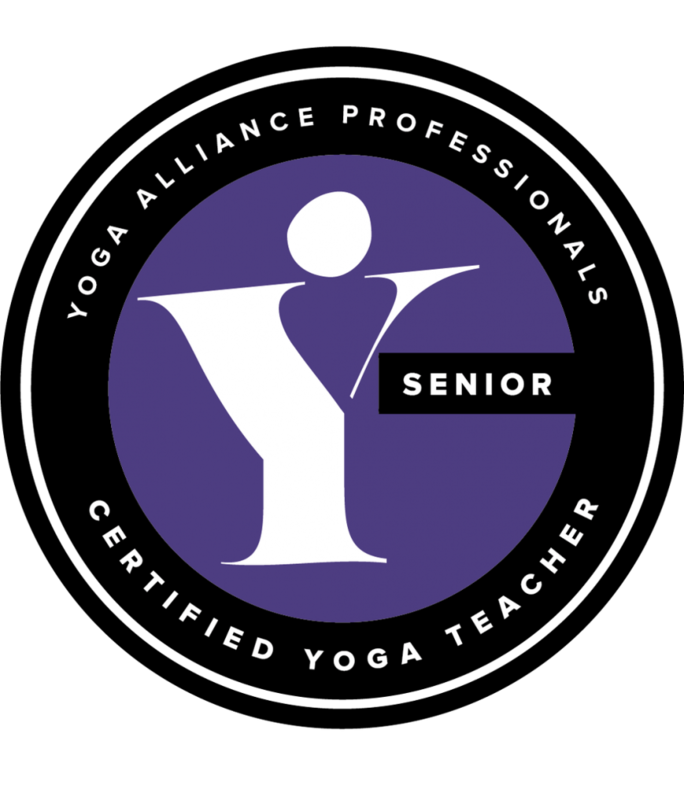 We promise you that if you put in the effort, we will equip you with a comprehensive set of tools so that you flourish as both an informed practitioner and creative teacher of yoga. This of course takes time, effort, and commitment. 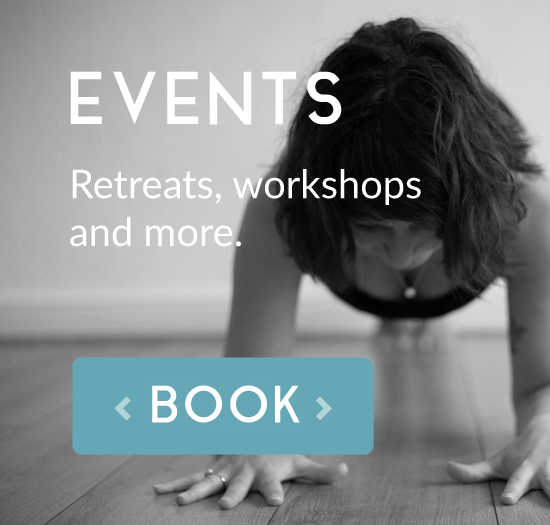 Our training takes place over the course of a year from our Falmouth yoga studio in Cornwall. 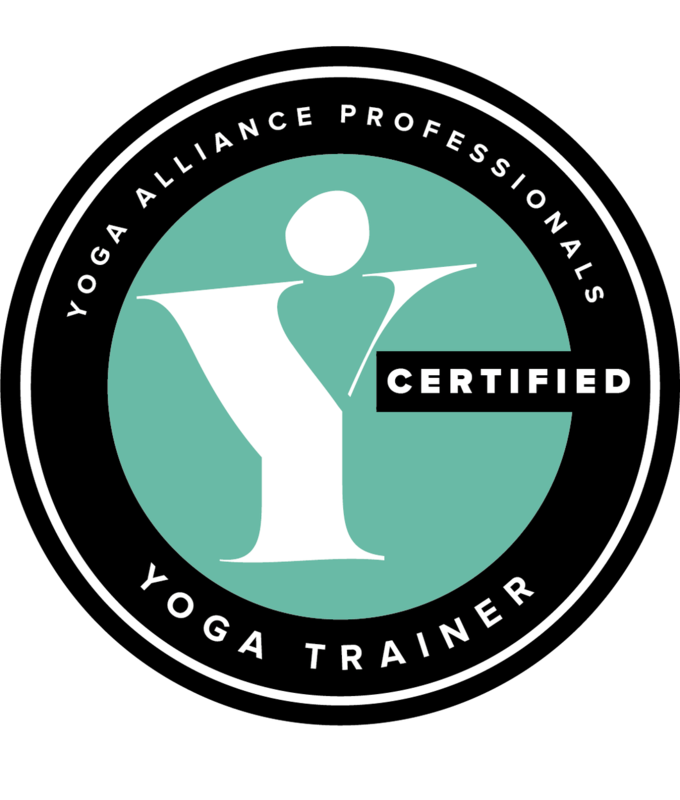 The full Teacher Training Program comprises 10 weekends, and meets Yoga Alliance’s requirement for certification at their 250 hour level. The course is suitable for people with at least 2 years regular yoga practice and a proven commitment to further developing their understanding of yoga. Above all else one of our main aims at FYS has been to create a yoga community here in Cornwall and we are so proud of the friendships and support network we see forming during and after the teacher training. Keren and Amanda will continue to be on hand to offer advise and guidance at any step of your teaching journey. Keren is still in regular contact with her trainees over in Australia to offer small fry advice on sequencing and playlists or big decision advice on what further training to do or how to open a studio in their home town! At FYS Keren and Amanda also offer a variety of level 2 training modules allowing you to work your way to becoming a 500 FYS teacher or just to delve deeper for the fun and love of it as they both continue to do themselves. And beyond graduation you will become part of a private online forum of past trainees with a monthly essay delivered by Keren on the theme for the month which then births discussion, questions, sharing of sequences, playlists and harmonium lessons. To read more about Keren and here own style/training/journey please click here. Amanda has been studying yoga and meditation for over 30 years and she continues to study at every opportunity! After her initial training as a sculptor she taught within the Iyengar tradition for 20 years and also qualified in yoga for healthy lower backs, tibetan yoga and with the British Wheel. Her experience as a biodynamic CranioSacral practitioner has deeply informed her current practice. 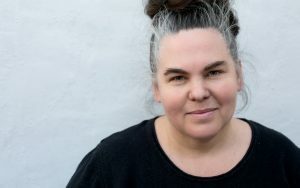 She is particularly interested in offering students the opportunity to come home to their bodies, adapting practices to individual needs and facilitating an intuitive understanding of anatomy, function, energetics and basic sanity. What you can expect from this teacher training is a rich, varied, fun, challenging year that will encourage you to look at yoga and yourself in new ways and hopefully will be the start of a journey into yoga that will last a lifetime. There are a number of wonderful training courses out there both in Cornwall and beyond and we would be happy to direct you to them should this course not meet your needs. The first thing we always ask interested students to do is come along to a class with Keren to ensure the style of vinyasa she teaches resonates with you. We want you to love this course as much as we do! From there we ask you to complete the application form. Once received Keren will be in touch to arrange a short interview to complete your application and also to put you in touch with past trainees so you can interview them and get an honest overview of the course from a graduates point of view. In 2018 Keren will be joined by senior yoga teacher Amanda Brown and there will be an additional visiting teacher TBC. homework, exam, practice) and showing passion and commitment will result in certification. Please review the Frequently asked questions and 2019OCT-TT-OUTLINE-FINAL and liability-and-grievance-TT-form-1 for further information. "There are many good courses out there to continue a learning journey. But I chose my love of Yoga as a route to deepening my awareness of my practice and meet some like-minded yogis. Keren’s Teacher Training course did more than this … it was inspirational and life-changing! At times it was deeply moving and tough, at times I had to bare my soul, unlock habitual thought patterns and beliefs and question my own understanding of the world around me. This course enabled me to learn, grow, ‘let go’ and offer acceptance in a way that I couldn’t have anticipated or intended but it certainly was where I needed to be! It tested me to my limits both spiritually and physically. I am most grateful to Keren for her ability to guide students in maximising their potential, knowing when to ‘push’ them forward and when to hold back. Keren provides her students with the tools to give attention to find their strength and inner soulful simplicities. 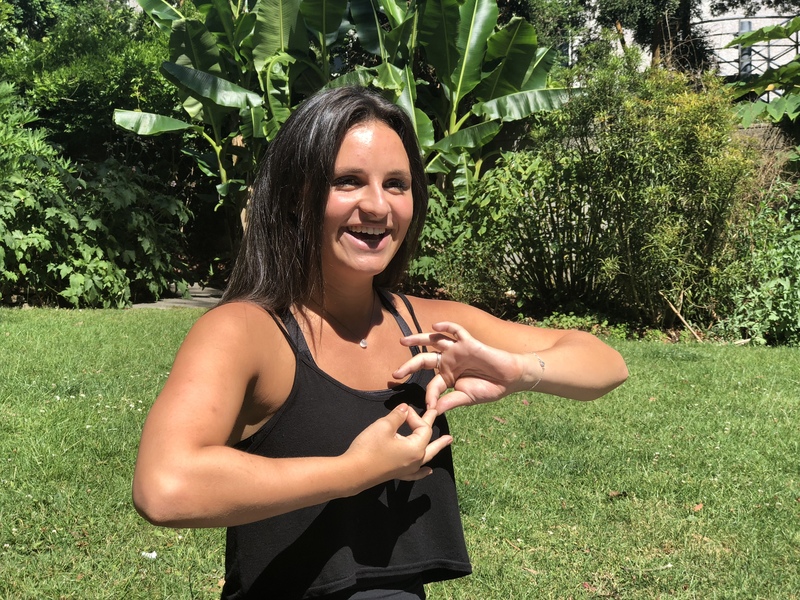 Her love for Bhakti yoga brings depth and history to the learning as well as utter joy within the community that is created through students’ shared practice and learning. We sang, we chanted, we danced, we studied, we practiced yoga, we cried and it was all worth it! At Falmouth Yoga space Keren has created a supportive and most friendly environment for yoga students to feel nourished with the richness of exploring all aspects yoga and philosophy. If I could, I’d do the course all over again!" I loved level 1 yoga teacher training with Keren, it was an amazing learning journey- both challenging and rewarding. 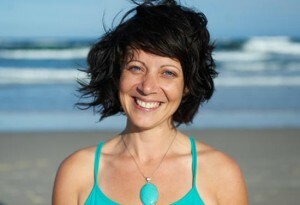 Keren balances the teaching of physical poses and alignment with myth/story telling and yoga philosophy. All sessions were stimulating and well-planned; I especially enjoyed the group discussions on texts we studied. 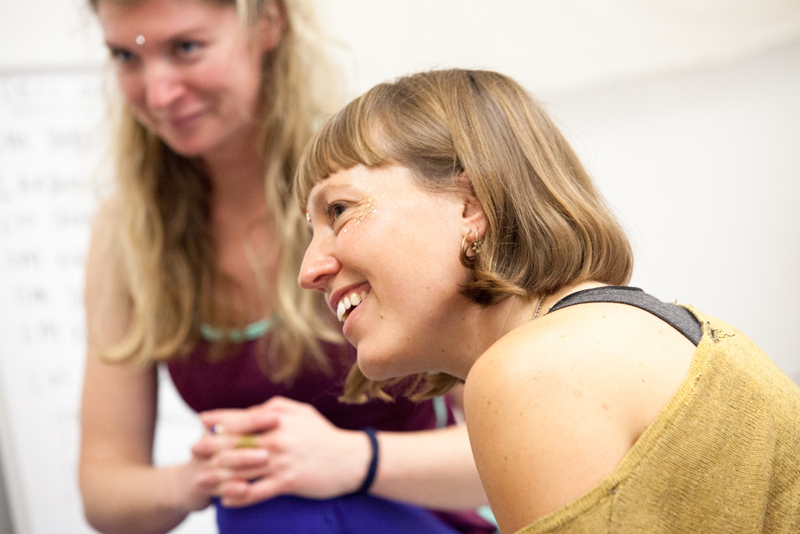 Level 1 teacher training is a first step into a whole new understanding of yoga and life as you know it. To be guided with honest feedback and nurtured with firm yet gentle care is essential. Keren delivered on all fronts for me. The course is thorough, well researched, gets you absolutely ready for teaching and her passion makes it such a joy to study. I highly recommend it as your first step into yoga teacher training. I am very gratefully to both Jacqui and Keren for providing a comprehensive training with lots of heart. Topics covered included philosophy, anatomy, sanskrit, asana, business and much more, it actually amazes me how much I was able to learn in a level 1 teacher training. I was supported and challenged to find my own teaching voice, develop my personal practice and to take my yoga practise off my mat into my daily life.